Educational Insights products are designed by seasoned educators along with parents who understand that learning must first and foremost be FUN! 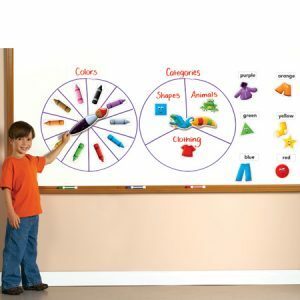 One way to encourage a fun and encouraging learning session is with one of Educational Insights t Whiteboard Games! One in particular seemed like a great fit for my family, their Readiness SpinZone Game! This is a set of large magnet game pieces that you can use on your whiteboard to set up all sorts of learning games. The set comes with 2 Magnetic spinners and 51 Magnetic game pieces. The set is geared toward working on learning colors, shapes, animals and clothing. 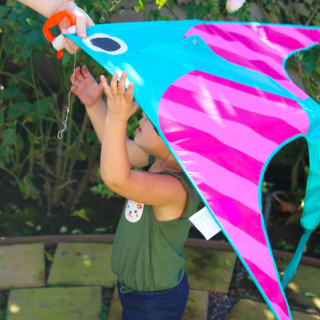 The large pieces make it easy for children to see in a classroom setting! Students can come to the board to spin the spinners and match and sort the other game pieces. We got to test this game out and it is so cute! The magnets are large and easy to read and see. 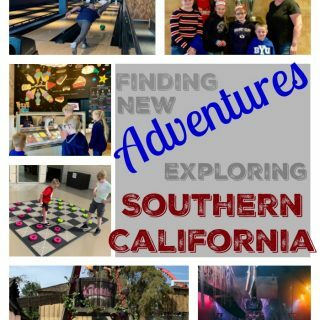 We came up with all sorts of fun games based on each of my kids skill levels! For example, with my 5 year old I had the words up in a circle and when he would spin he would read the color and then find the matching colored crayon. Then, once all the matches were paired my 3 year old took over and I had him spin for a color and match an animal which helped with color recognition as well as vocabulary! I think we back to my 5 year old and we practiced sentence building with matching the color to a clothing item and would have it build a sentence such as “My pants are blue” and find the matching color word for each item! Then, my 3 year old finished up the game by matching the shapes! They didn’t get bored easily and I know we will be pulling out SpinZone again for learning time! 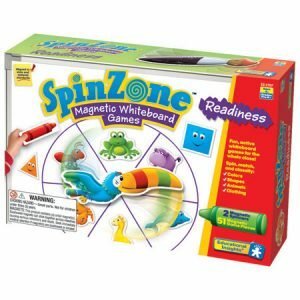 Readiness SpinZone Magnetic Whiteboard Game is available through Educational Insights! It retails for $29.99. a Readiness SpinZone Whiteboard Game! Ends 11/4/11 at 11:59 PM ET. Disclosure: I received Readiness SpinZone for free in order to try the product and form an opinion for this review. I was not compensated in any other manner. The opinions expressed above are my own and any claims should be verified on the sponsor’s site. We liked reading through your submit. 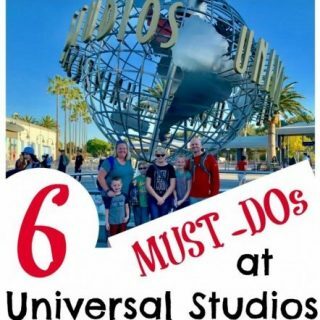 I’ve reached be honest had been the initial content material in your website We truly liked as well as exactly where I’d a sense of understanding, know what I am talking about? Anyhow, maintain the publishing and Im going to return again. The 3-in-1 Magnetic Dry-Erase Flannel Board looks very nice! I like the 3-in-1 Magnetic Dry-Erase Flannel Board. I like the AlphaMagnets® and MathMagnets® Color-Coded Magnets, Set of 214. I like the MathMagnets® Jumbo Multicolored Magnets. Love Magnetic Sight Words for my class. 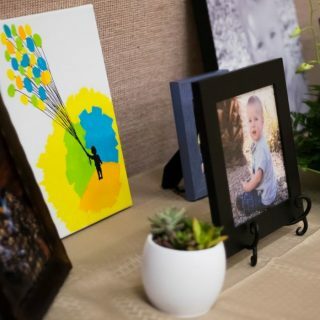 I would like the 3-in-1 Magnetic Dry-Erase Flannel Board for at home to use with my sons. I would love the Money Spinzone Magnetic Whiteboard Game! I am a teacher and would love this!!! I also like the Nutrition SpinZone® Magnetic Whiteboard Games. I love the Big Money Magnetic Coins and Bills. Perfect for my first grader who is really struggling with money concepts. The AlphaMagnets & MathMagnets combo set is so cute! I like the magnetic art set. I would like the Mathmagnets. I like the flannel board. this game is great for kids its fun and also educational. I also like the 3and one portable easel. I like the jumbo magnetic math magnets. the kids mixer is cute! i love this magnetic set! It looks great for my granddaughters. I'm going to look into getting this_So thank you! Remarkable Magnetic Marker Caddy! To go with Whiteboard Win! The jumbo math magnets would be fun to have! I subscribe to A Mom's Take by Email. 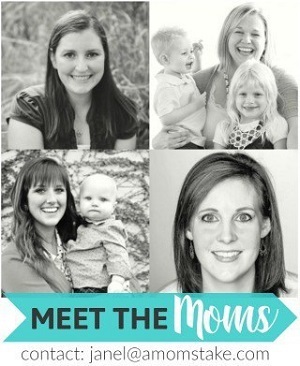 I follow A Mom's Take on GFC. i Like" Educationalinsights on Facebook. I would love to have the Magnetic Art kit to use with my autistic student PAUL. I also like the Multicolored AlphaMagnets® & MathMagnets® Combo Set . I'd love to get the AlphaMagnets & MathMagnets Multicolored Combo Set for my house! I like the magnetic art kit. I like the AlphaMagnets® and MathMagnets® Color-Coded Magnets, Set of 214!!! I also like the magnetic art set. Looks like it'd be fun making pictures out of these.